AVAILABLE NOW!! This updated condo is ready to go. - AVAILABLE NOW!! 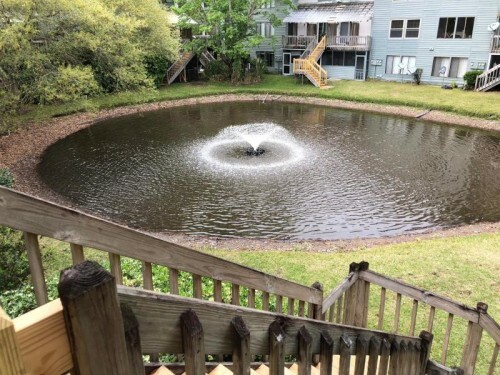 This updated condo is ready to go...This is a 2 story unit on a pond and a few short steps to the pool. This home has new flooring downstairs, updated kitchen that includes stainless steel appliances, white cabinets,subway tile backsplash and solid surface countertops. There is a combo dining/living room space and a half bath. Upstairs you will find dual masters, each with its own bathroom and 2 closets. This home has been recently painted and some new window treatments added. Included is a washer, dryer, water and trash pickup. This beautiful elevated home has Marsh and Tidal C - This beautiful elevated home has Marsh and Tidal Creek views. Hidden Cove offers easy access to 526. 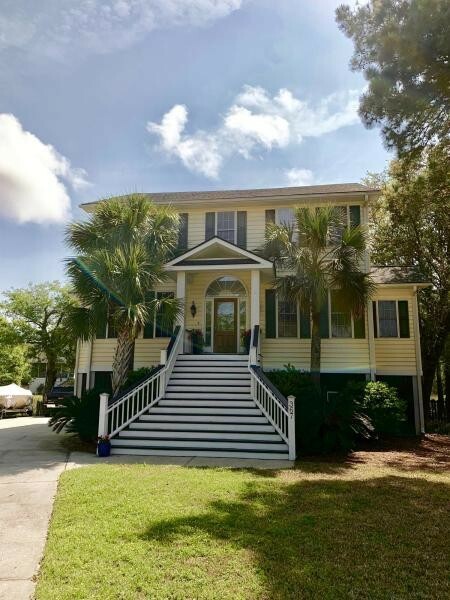 This home offers a formal dining room/study, bedroom with full bath, Laundry room w/ 1/2 bath, large kitchen, great room w/fireplace and breakfast area on the first floor, Off the kitchen is a large porch overlooking the marsh. On the second floor you will find a large master suite with walk in closet, bathroom and a porch that overlooks the marsh. There are 2 more bedrooms, and another full bathroom. On the third floor you have a large space that can be used as a 5th bedroom or as a secondary family room, play room or guest suite. This space also includes another full bathroom. There is a TON of storage in the garage. Amenities include pool, tennis, boat landing, dock and playground. 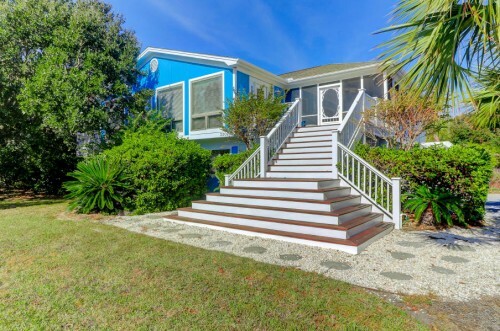 OCEAN VIEW HOME - Perfect Beach home sits 2nd row with Gorgeous Ocean Views on an exceptional lot!! The Great room has beautiful pine floors, A gas fireplace with built-ins and mantel. Large eat in-kitchen w/ granite counter tops , stainless steel appliances and overflowing cabinetry . There are two bedrooms that are upstairs and four down with a game room and sitting area. There is a large screened porch that has dual access to the Beach Path and the pool that sits perfectly along side a charming cabana that has a half bath and changing area with a side covered patio. The home is surrounded w/ lush tropical landscapes and large Oak tree's that are supported with an irrigation system. This home has a promising income and all furnishings viewed convey. Several bedrooms use wardrobes for closets. Amazing Home! - Spacious home featuring ocean views and luxury amenities. 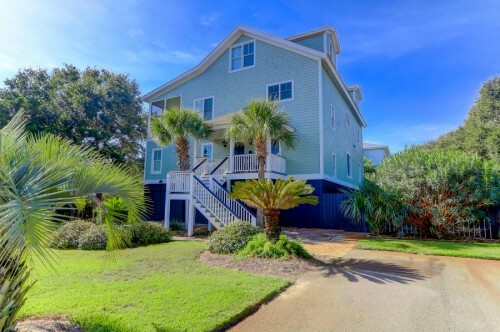 With 8 bedrooms and 6.5 baths spread across three floors, there is ample room for extended family vacations and lots of fun! The main level features an open plan between the kitchen, living room, dining room and a wide screened porch. Take the elevator up to the third floor where you'll find 2 more bedrooms and a central den area with wet bar and sun deck/balcony. The views from here are magnificent! The first floor is the entry level and accommodates 5 guest bedrooms and 4 bathrooms . There is a large swimming pool surrounded by newer pavers, lawn and privacy fence. The garage has room for several cars, golf cart, beach chairs, and all your toys.